grouser (Ludlow, United Kingdom) on 5 December 2010 in Art & Design and Portfolio. A great POW, very good light on the scupture amd a fantastic sky! Looks like a wonderful place to visit! Great series of shots so far, but I really like the simplicity of this one. Angel of the South? Great PoV! Lovely yellows against the sky.. I can feel the glory in this shot,excellent! Impressive angle and that blue/yellow theme which always excites. strong composition with great angles and colours. great image . love colors and texture of this statute ! It must be dizzying to look up at it from that angle. wow - I agree, almost dizzying perspective! very nice sense of scale! A fine viewpoint that gives this buddha a looming look that is very effective. Wow..a very impressive view! Beautiful shot! 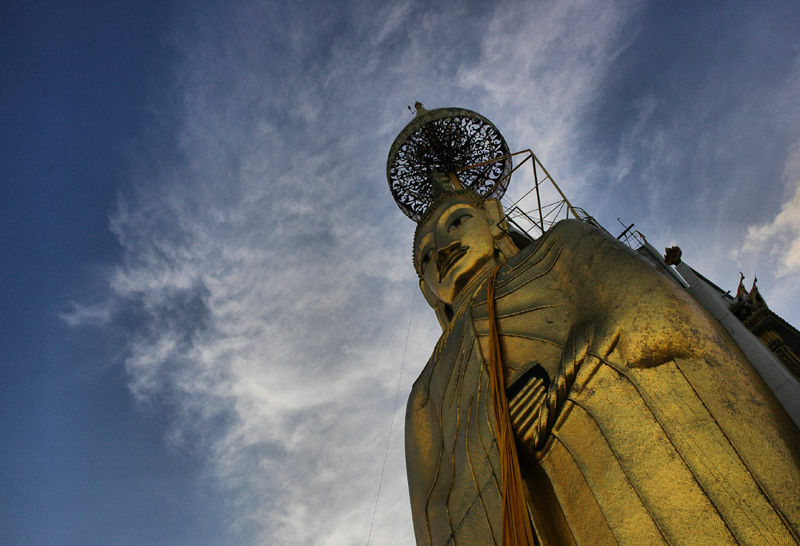 A series that i discover with a lot of pleasure because it's a wonderful place that i visited some years ago... interesting Pov on this impressive statue of Buddha. Great photo! Looks so big! A cool angle, imposing a great fervor. Wonderful angle - forms a lovely backdrop of the skies. Superb capture!